We are all called to be servants, just as Christ was, and we are all called to live out our faith in service of others. If you would like to become an active participant in the life of your parish, a great way to begin is by joining one of our service ministries. This committee of the Parish tends to the needs of neighbors in severely challenging financial situations. They coordinate the delivery of food, gifts and clothing that arrive in the holiday seasons. Members of this committee monitor neighborhood concerns and join with other groups and agencies to promote issues of Social Justice. The Evangelization Team acts as a catalyst for the parish to discover ways to deepen, share, and invite others to the Catholic faith. With the guidance of the Holy Spirit and under Father Jeff’s vision; their efforts, prayer, and discernment allow the Gospel Message to be shared with all in a dynamic and lively way. 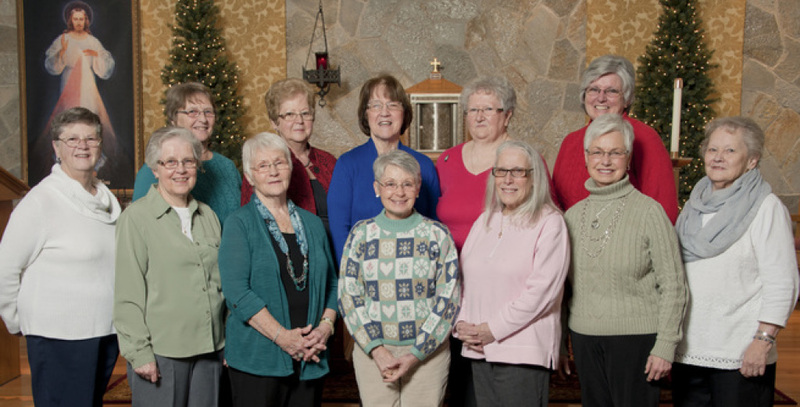 This group desires to bring all members of the parish and all those who seek Him, to a deeper understanding of the Catholic Faith and to living out our Sacramental Life more fully. For more information, please contact Sharyn Tighe. A friendly outreach effort by parish volunteers to provide information and answers to parishioners, their guests and prospective new members of our faith family. This vital ministry coordinates with our ushers, greeters, arts and environment volunteers, as well as the liturgical ministries to provide a warm, welcoming and engaging atmosphere to all who come to celebrate Mass with us. Parishioners serve the parish community by bringing the Eucharist to those who are unable to attend church because of illness or infirmity. For more information on becoming a Eucharistic Minister, please contact Madeleine Pimley. The mission of the Prayer Shawl Ministry is to make shawls and lap robes, weaving special prayers into each and every stitch. Completed shawls are blessed and distributed to those in need to provide warmth and comfort to those who receive them. For more information, please contact Ruth Bolduc. Men and women who assist at parish funerals. They offer support to families who have suffered the loss of a loved one. Members stay in contact with the family during and after the funeral to offer friendship and help.